One of those blue historical plaques, increasingly common on old buildings, humorous-ly says ‘Jacob von Hogflume 1864-1909, inventor of time travel, lived here in 2189’. If only we could travel forward or back in history. What would we tell the future, or the past? November 2018, 100 years on from the end of the Great War. What would we tell those celebrating the end of those tragic four years? What would they be keen to tell us? November is a month of remembrances. ‘Remember, remember, the fifth of November,’ and all that. Not that on the 5th we think about gun-powder, treason and plot much these days. It’s more likely we are delighting in the bursts of firework colour in the night sky, or preparing for the next ear-splitting bang as we comfort a cowering pet. On 11th of the month we will be marking the moment with greater thoughtfulness. Across the country there will be silence, wreaths, the tune of a bugle, and this year church bells, muffled and later in full voice, marking the movement from war to peace. A strange and contradictory moment: the end of death, whilst its deep scars remain. Do we remember so that we don’t repeat our mistakes? Or do we remember to re-mind us that we do? Jesus was sparing in his instructions about religious remembrance. Just the one act. Bread and wine (our Communion). Simple, earthy, powerful. Resonating with Jewish remembrance of their great moment of release, looking back to their past in the Passover. But in Jesus’ hands, not just looking back – now to the Cross – but looking forward. 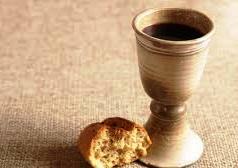 ‘I will never again drink this wine,’ said Jesus, ‘until the day I drink the new wine with you in my Father’s Kingdom.’ Our present is now rooted not just in remembrance of the past, but in future redemption. Our folly is surely that, despite all our technological advances and cultural sophistication, we so often don’t learn from the past. But there is relief, and it is whispered by the myriad little crosses scattered across Northern France: that we are redeemed, from our past, present and future.